It’s springtime, even if it is still a little chilly! While it’s not hot yet, it will be soon, and it’s the time start looking for a great RV! You’ve probably heard about toy haulers, but maybe you haven’t looked into them yet. If you have a motorcycle, a four wheeler, or maybe a few dirt bikes, you’ll want to check out this list of new toy haulers for sale that will bring the camping experience and the trails experience together! This quick review will show you some highlighted features of all of these great toy haulers to help you make the buying process go fast! 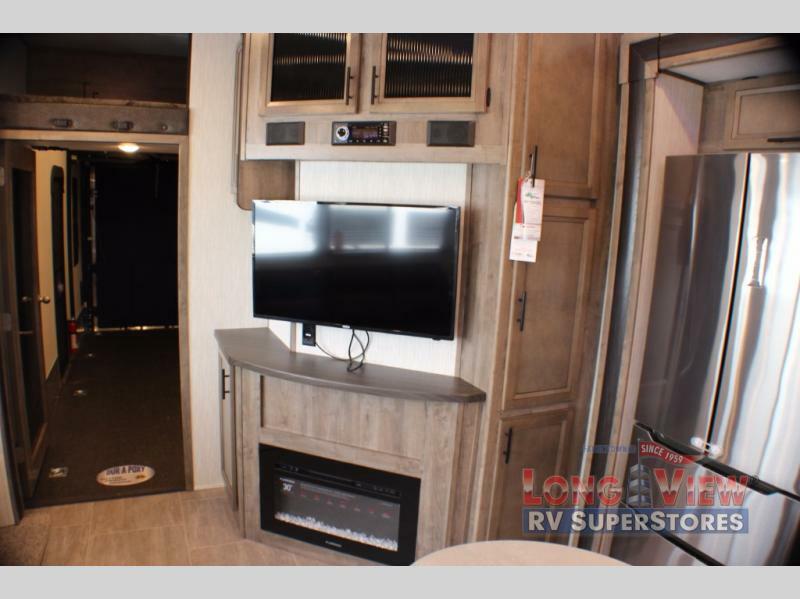 This toy hauler fifth wheel of course has a garage (just as any of these toy haulers on the list), but it also comes with an electric bunk and and a king size bed to sleep up to nine people! If you’re bringing a large family or just a big group of friends, this is the toy hauler for you. When looking for a toy hauler, you always should look for a certain amount of features and specific amenities that will allow you to have the best camping experiences. One of these features that makes your camping trips even better is an outdoor kitchen. If you enjoy spending your time outdoors (with a toy hauler that hauls outdoor toys, we’re assuming you do! ), this is one of the best features to have. You’ll have even MORE reason to be outside all the time! The Vengeance 345A13 provides you with a private bedroom and dual entry. These are highlighted features because of the privacy you’ll be able to have with them. Overall, we find this toy hauler to be at the top of the list when it comes to features you’ll enjoy when you’re ready to go camping! If you’re looking for luxury with the comforts of home, this is the toy hauler you’ll want to consider. It provides you with a gorgeous master suite and a full AND half bath (which tells you a lot about the large size of this RV!). If you’re looking to cozy down after a day on your outdoor gear, settle down in front of the fireplace and watch your favorite movie on the television. It also comes with a 16′ separate garage gives you enough space for your favorite toys, and the space in the rest of the recreational vehicle will allow you to sleep up to nine people. 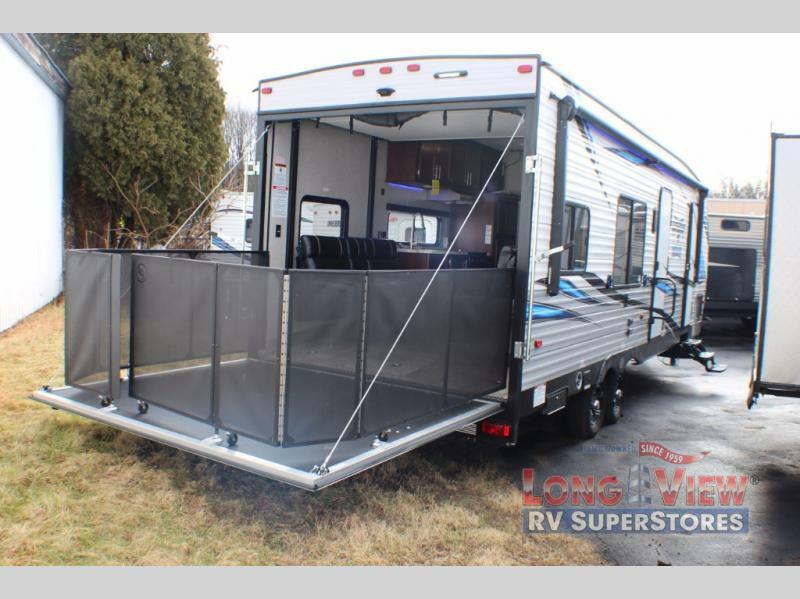 Again, this is the same feature as the other toy haulers on the list, but we stress the luxurious features of this specific toy hauler once again! Check out this Vengeance Rogue 25V Toy Hauler! It boasts a king bed, which will keep you comfortable after a long day on the trails with your toys. It comes with two entry doors that you can enter into this model through, and be in the combined kitchen/living area or in the front bedroom. This is especially helpful for those camping with friends who don’t want to wake people up! It’s also a great safety feature, as well. You’ll also be able to enjoy the walk-through bathroom, which is an amazing feature in any recreational vehicle for easy-access to the whole toy hauler. 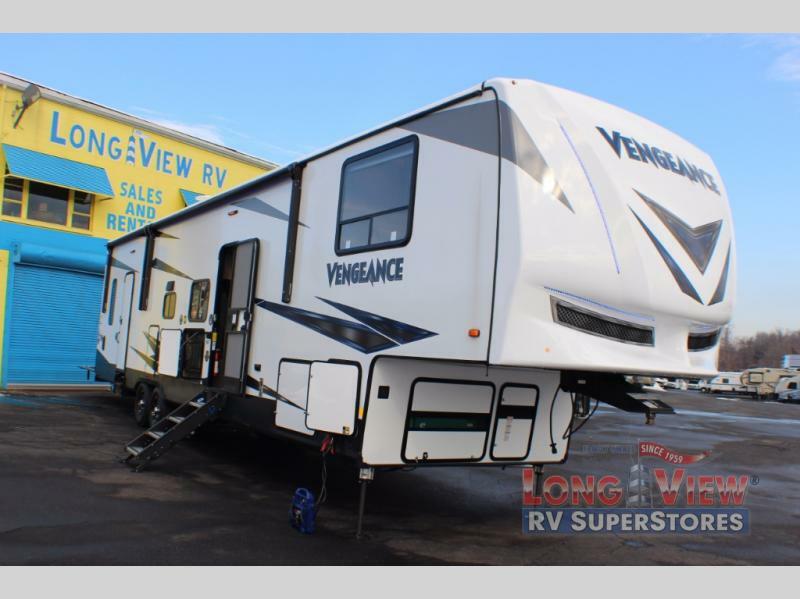 If you’re searching for a specific feature, check out the Vengeance floorplans for more details on this beautiful toy hauler. On the Road Again, and the Trails! If you have any questions concerning these toy haulers, please contact us today to get those answered. Any new toy hauler you choose from us is beautifully designed and safely constructed. As we said, the weather is getting warm, and this is the perfect time to get some great deals on your favorite toy hauler!